An agreement has been reached in the university strike – with union leaders and employers making a deal over threatened pension cuts. If the terms are accepted at a meeting of union representatives on Tuesday, the strike will be suspended. The agreement would mean a new, independent re-evaluation of the pension deficit and temporary arrangements to tackle the shortfall. 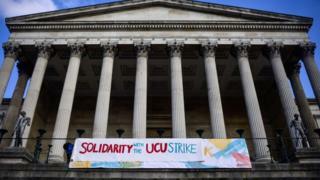 The strike has disrupted classes at more than 60 universities. 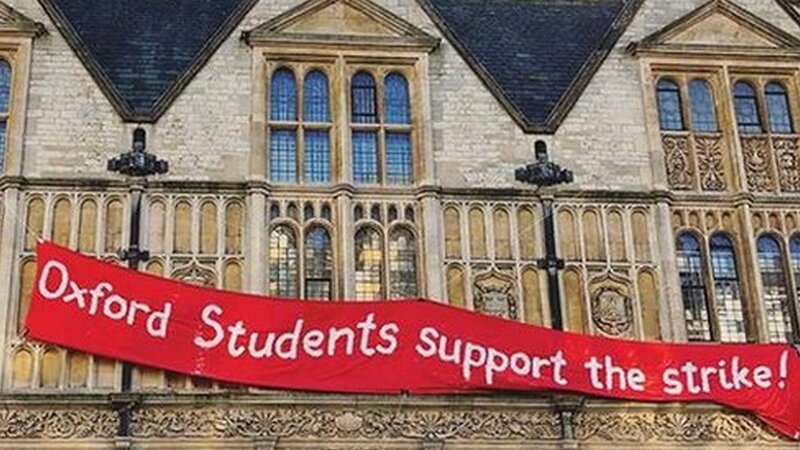 Now in its fourth week, the strike has seen lectures cancelled and threats to end of year exams and assessments. The universities minister Sam Gyimah had called for students to be given refunds on fees for lost teaching time. But talks at the Acas conciliation service have produced a deal, published on Monday evening, by the UCU university staff union and Universities UK. The proposed changes to pensions would be put on hold – and a temporary deal would tackle the deficit, with plans for new long-term pension arrangements from 2020. There would also be an independent evaluation of the pension – after there were disputes over the scale of the funding gap that had to be filled. Universities would be expected to re-schedule classes that have been disrupted by the strike. UCU representatives will meet on Tuesday – with an expectation that if they back the deal the strike would be suspended from Wednesday. But there have been some calls on social media to reject the deal, with university staff calling for better terms before ending the strike.